By Steve Heintz of Heintz & Becker posted in CRPS on Monday, May 30, 2016. In our most recent CRPS/RSD post we told our readers about how some pharmacies are refusing to fill valid pain medication prescriptions that chronic pain patients need to control their pain. With prescription medications becoming more difficult to obtain, many chronic pain sufferers may be resorting to taking large doses of over the counter NSAIDs (nonsteroidal anti-inflammatory drugs) in an attempt to find relief, and in doing so, they may damaging their health and putting themselves at risk for a heart attack, stroke and other complications. Just a few days ago the FDA issued a Drug Safety Communication containing stronger warnings about the increased risks of heart attack and stroke associated with NSAIDs. NSAIDs include ibuprofen and naproxen and are found in many over-the counter pain medications, including Advil, Motrin and Aleve. Despite warning labels stating that that the drugs should not be used longer than 10 days for pain or three days for fever, people, especially those with chronic painful conditions, take larger doses than recommended on a daily basis. 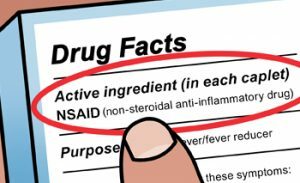 The new FDA warnings make it clear that people need to change their thinking and realize that NSAIDs can be dangerous. 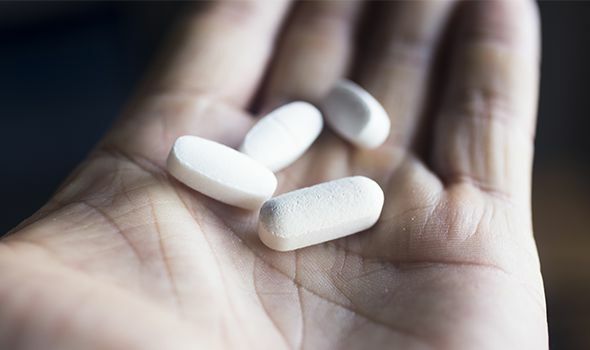 People using NSAIDs are being advised to take the lowest effective dose for the shortest amount of time possible and to be especially careful not to take more than one product that contains an NSAID at a time. (Although aspirin is also an NSAID, the FDA’s revised warning doesn’t apply to aspirin.) Symptoms of a heart attack or stroke include chest pain, difficulty breathing, sudden weakness in one part or side of the body and/or slurred speech. Anyone experiencing these symptoms should seek immediate medical help. The Heintz & Becker CRPS/RSD series highlights how debilitating and difficult it can be to treat chronic pain. Our attorneys are strongly committed to providing legal help to people suffering from chronic pain due to accidents caused by the negligence of others. If you or a member of your family is in need of an attorney who understands CRPS and RSD, please contact us for a free, no-obligation consultation. Some e-cigarette batteries are exploding without warning and causing blindness, serious burns and permanent injuries. A teenager in New York was blinded in one eye and may have permanent damage to his hands. An e-cigarette he was testing at a mall kiosk in Brooklyn exploded. In Florida, a 21 year old man almost died after his e-cigarette exploded in his face. This left the man with third degree burns to his entire face, serious burns to his esophagus and battery acid in his lungs. Another man from Longboat Key was hospitalized with serious burns and required skin grafts after his e-cigarette exploded in the pocket of his shorts. These are just a few examples of the growing number of exploding e-cigarette tragedies which have prompted numerous lawsuits and calls for mandatory consumer warnings and regulation of the e-cigarette industry. What is it that’s causing these explosions? It’s the small rechargeable lithium ion batteries that power the devices. 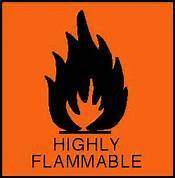 These batteries contain highly flammable electrolytes that can ignite with explosive force if overheated, overcharged or misused. Carrying e-cigarettes and/or spare batteries in your pocket with car keys or other items can also lead to battery damage and explosions. There are also a lot of shoddy “no name brand” batteries and chargers on the market that may be more likely to explode than their more expensive brand-name counterparts. Since there are very few laws currently applicable to e-cigarettes in the U.S., e-cigarettes are not subjected to mandatory safety testing and regulation. Consumer advocates are hoping that this will change, but even with mandatory testing and regulation, as long as lithium ion batteries continue to be used to power the devices, there will be a risk of fire and injury. In addition to wanting to get to get the word out about the dangers of e-cigarettes, the attorneys at Heintz & Becker have made it a priority to hold e-cigarette sellers and manufacturers responsible for the injuries and damages they have caused. If you or a member of your family has been injured by an e-cigarette battery, dispenser, or e-liquid, call us for a no-obligation consultation and evaluation of you case.